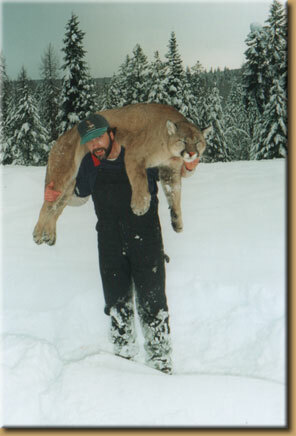 After fourteen years of studying taxidermy full time, Phil was given the opportunity to live in Northwest Montana; a place he fell in love with while spending his summers there as a kid. The journey wasn't easy, but it was necessary in shaping the artist he has become. “I worked in shops and studios from Texas to Montana and got a chance to work with some incredible taxidermists”. He worked along side some of the most technical taxidermists around as well as some with a much more artistic flare. “I learned a lot from those guys, but I also spent a lot of nights and weekends working on competition pieces”. Phil enjoyed great success competing and taxidermy was more than just a job, it became an obsession. In 1996 he opened Philip Soucy Studios in Libby Montana, where he and his wife Barbara operate a small custom studio specializing in cats from all over the world. © 2019 Philip Soucy Studios · Website developed and hosted by MontanaSky Networks, Inc.